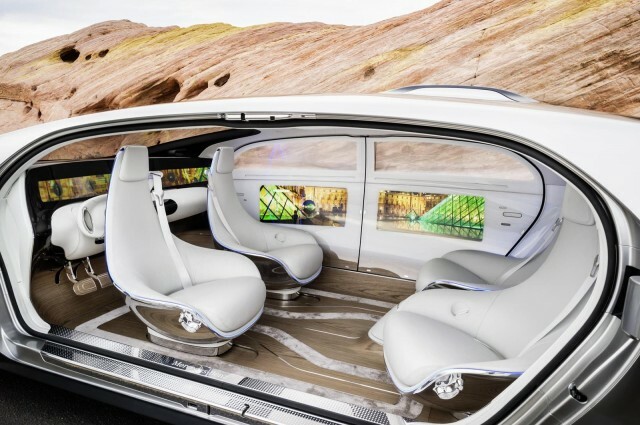 2) Mercedes-Benz F 015 Luxury in Motion in an autonomous car. 3) The future for legalized Pot. Oct 19th is the "fixed" Federal election date in Canada with legalization of "pot" a likely major issue in the election. It has been a year since Colorado became the first U.S. state to legalize marijuana for recreational use, Denver now has some $1 billion US in sales in a city of about 650,000. It has more than 60 marijuana outlets, which sell different hybrids of the drug as well as cookies, creams, pipes and T-shirts. 4) Volvo announced a new safety system that warns drivers of approaching cyclists via a symbol on their car's head-up display. Not to be outdone, Jaguar Land Rover has just announced its own system, which takes a more tactile approach – among other things, it buzzes drivers' hands and feet, and even taps them on the shoulder. This Shelby Cobra sports car, 3D-printed at Department of Energy's Manufacturing Demonstration Facility at Oak Ridge National Laboratory, on display this week at the Detroit Auto Show Technology Showcase. 2) HitchBOT - The Canadian twin of the original hitchBOT, (a chatty internet-connected robot that hitchhiked across Canada last summer) is scheduled to hitchhike in Germany from Feb. 13 to 22. 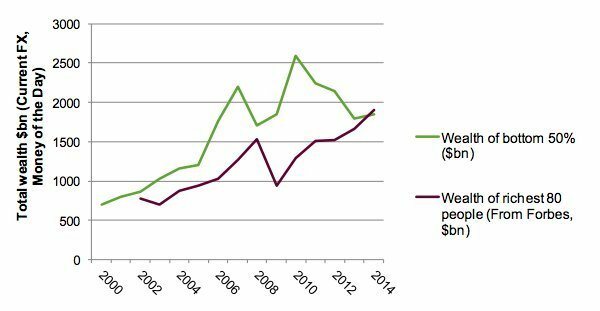 OXFAM predicts that by 2016 the richest 1% of the global population will control 50% of the total global wealth unless the current trend of rising inequality is checked. If you find it hard to grasp just how unequal the global economy is, here's one stat that should put it all in perspective: The richest 80 people on Earth are now as wealthy as the world's 3.5 billion poorest people. In other words, 80 people control as much wealth as half the population of the planet. That's one of the most shocking findings from a report released Monday by Oxfam, an international charity dedicated to finding solutions to global poverty. The report's overall point is that global inequality is soaring to amazingly high levels as the world's richest just keep getting richer. As you can see from the chart above, it hasn't always been this bad. In 2010, it took a slightly greater number of rich people -- 388 billionaires, to be exact -- to equal the collective wealth of the world's poorest 50 percent. 2) Would You Ride These? Final thought: "If you want to live the American Dream go to Denmark".